It’s not very often an audience gets to sit down with an icon for a couple hours and pick his brain for a few hours to find out what makes him tick. This is the experience of THE ZEN OF BENNETT. On the eve of his 85th birthday, the legendary crooner Tony Bennett shares his thoughts on music, art and life. Bennett chats with us as if we’re sitting across the table from him remembering stories of old. There are intimate moments with Bennett, in the studio, painting, driving around town, talking to friends, or performing live. It’s an inside look at a legend that we rarely get. Tony spins stories of Nat Cole, Duke Ellington, Louis Armstrong and other music industry titans. THE ZEN OF BENNETT revolves around Bennett’s time in the United States and Europe as he works on an album of collaborations. Throughout the film, these collaborations bring Bennett together with several artists – Norah Jones, Carrie Underwood, John Mayer, Lady Gaga, Aretha Franklin, and Michael Bublé. Encounters are often just as much conversation as they are musical. 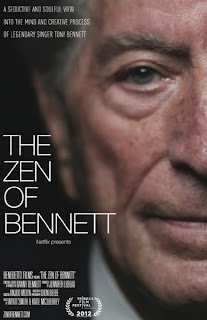 Throughout, the documentary focuses on Bennett’s great passions of which he has two – music (which can be assumed) as well as a deep and knowledgeable love of art. At one point he holds up a recording session to do a sketch of Willy Nelson, much to Nelson’s delight. And along the way we glean deeper understanding of Bennett’s life. He shares stories of his upbringing in Astoria, New York as well as his time during World War II – and how both shaped his views on life. This is director Unjoo Moon’s first feature film, and she puts together a strong effort. At one point Tony Bennett mentions that if you want to make a masterpiece, it must be made with love. 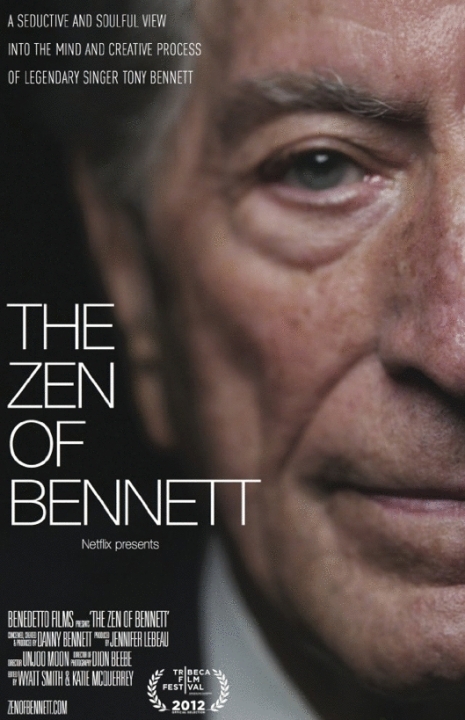 While THE ZEN OF BENNETT isn’t quite a masterpiece, it certainly is made with love, and that seems like enough. 3 out of 4 stars.